Mr Vincent HS Lo assumed Chairmanship of the Hong Kong Trade Development Council (HKTDC) in June 2015. He is the founder and Chairman of the Shui On Group, which is principally engaged in property development, construction and construction materials with interests in Hong Kong and the Chinese Mainland. In addition to his business capacity, Mr Lo has been active in community services. Prior to his previous position as Chairman of the Airport Authority Hong Kong, he had participated in the preparatory work of the establishment of the Hong Kong Special Administrative Region (HKSAR). He is currently a Director of the Boao Forum for Asia, President of the Council for the Promotion & Development of Yangtze and Honorary Life President of the Business and Professionals Federation of Hong Kong. Mr Lo was awarded the Gold Bauhinia Star (GBS) in 1998 and appointed Justice of the Peace in 1999 by the Government of the HKSAR. Other accolades include “Businessman of the Year” at the Hong Kong Business Awards in 2001, “Director of the Year Award” from The Hong Kong Institute of Directors in 2002, as well as Chevalier des Arts et des Lettres from the French government in 2005. In 2009, Mr Lo was named “China Entrepreneur of the Year” and “Entrepreneur of the Year” in the China Real Estate Sector by global consultancy Ernst & Young. He was also given an “Honorary Citizen” of Shanghai in 1999 and Foshan in 2011. In 2012, the 4th World Chinese Economic Forum honoured Mr Lo with the “Lifetime Achievement Award for Leadership” in the Property Sector. He was awarded the Grand Bauhinia Medal (GBM) in 2017 by the HKSAR government. Mrs Lam has served the public for more than 36 years in 20 public service positions including Director of Social Welfare, Permanent Secretary for Housing, Planning and Lands (Planning and Lands), Director-General of the Hong Kong Economic and Trade Office in London, Permanent Secretary for Home Affairs, Secretary for Development and Chief Secretary for Administration. Mrs Lam was elected as the Fifth-Term Chief Executive of the Hong Kong Special Administrative Region on March 26, 2017, and was officially appointed to this position by the Central People’s Government on March 31, 2017 to assume office on July 1, 2017. Born in Osaka in 1947, Ando graduated from Keio University's Faculty of Business and Commerce in 1971. In 1972, he started his career at Nissin (U.S.A.) Co., Inc., and joined Nissin Food Products Co., Ltd. in 1973. In the following years, Ando was involved in developing Yakisoba U.F.O., Donbei, Rao and Spa-O. He was appointed as president of Nissin Food Products Co., Ltd. in 1985. He served as captain of the "Noodle Research Team" and led a study trip through Central Asia, Bhutan, and Italy in 1990. In 1997, he won the Advertiser of the Year award at the Cannes-Lion International Advertising Festival for a TV commercial series for Cup Noodles, titled "Hungry?" In 2005, Ando was decorated by the Japanese government with the order of Medal of Honor with Blue Ribbon for his contributions to public service. Since 2006, he has served as a member of the board of trustees at Keio University. In 2007, He was appointed as chairman of the board of the Ando Foundation, as well as chairman of the World Instant Noodles Association (WINA). In 2008, he took the position of CEO and representative director of Nissin Foods Holdings Co., Ltd. He currently holds positions as director of the Japan Business Federation (KEIDANREN), chairman of the Japan Association for the World Food Programme, member of the board of Councillors, Japan Association of Athletics Federations. Mrs Cha is a member of the Executive Council of the Government of Hong Kong, Chairman of Hong Kong Exchanges and Clearing Ltd and a member of Financial Leaders Forum. Mrs Cha is the Non-Executive Deputy Chairman of The Hongkong and Shanghai Banking Corporation, a Non-Executive Director of HSBC Holdings plc, and an Independent Non-Executive Director of Unilever plc. She is also a Senior International Advisor of Foundation Assets Management Sweden AB and a member of Sotheby’s International Advisory Board. In addition, she is Vice Chairman of the International Advisory Council of the China Securities Regulatory Commission. She is a Director of the World Federation of Exchanges. Mrs Cha became the first, and to-date, the only person outside Mainland China to join the Central Government of the People’s Republic of China at the vice-ministerial rank when she was appointed as Vice Chairman of the China Securities Regulatory Commission in January 2001. She served in that position until September 2004. Mrs Cha worked for Securities and Futures Commission in Hong Kong from 1991 to 2000, becoming its Deputy Chairman in 1998. 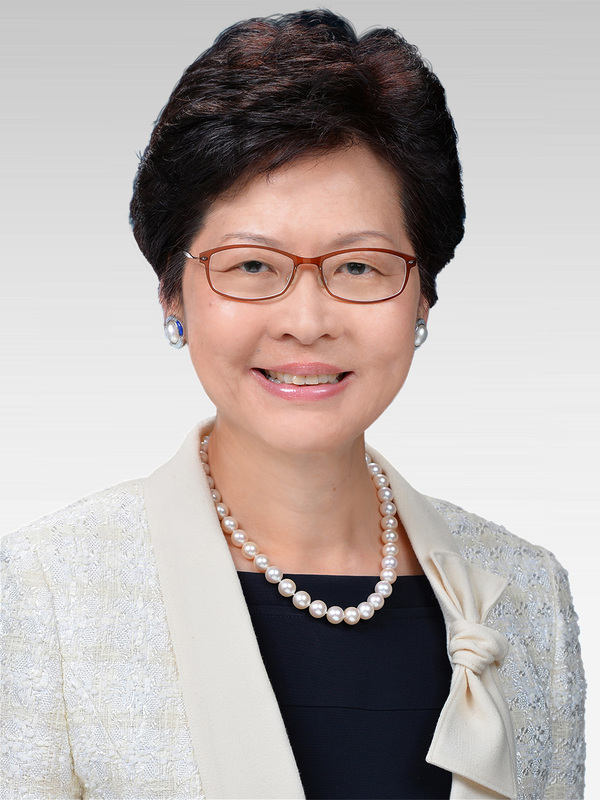 She was awarded a Silver Bauhinia Star in 2001, a Gold Bauhinia Star in 2009 and the Grand Bauhinia Medal in 2017 by the Hong Kong Government for her public service. Bernard Charnwut Chan is a deputy to the National People’s Congress of China, a non-official member of Hong Kong’s Executive Council (2004-09 and from 2012) and (from 2017) the Convenor of the Non-Official Members of the Executive Council. He is also a former member of Hong Kong’s Legislative Council (1998-2008). A graduate of Pomona College in California, he is the President of Asia Financial Holdings and Asia Insurance. He is Chairman of the Hong Kong – Thailand Business Council and an advisor to Bangkok Bank (China) Co. Ltd. He sits on the boards of several local and overseas companies in the financial services and manufacturing sectors. He also joined the governing board of the Alibaba Entrepreneurs Fund in Hong Kong. Among his public service activities, he is Chairman of the Hong Kong Palace Museum Ltd., Chairperson of the Hong Kong Council of Social Service, Chairman of The Jockey Club CPS Ltd. Advisory Committee, Chairman of the Committee on Reduction of Salt and Sugar in Food and Chairman of the Steering Committee on Restored Landfill Revitalisation Funding Scheme. Past positions include Chairman of the Council for Sustainable Development, Chairman of the Antiquities Advisory Board, Chairman of the Advisory Committee on Revitalisation of Historic Buildings, Chairman of the Standing Committee on Judicial Salaries and Condition of Service as well as Council Chair of Lingnan University. He was appointed a Justice of the Peace in 2002, and a Commander (3rd Class) of the Most Noble Order of the Crown of Thailand in 2004. In 2006, he was awarded the Gold Bauhinia Star by the Hong Kong SAR Government. He has been conferred honorary degrees from Lingnan University, City University of Hong Kong and the Open University of Hong Kong. Oscar Chow is a Non-Executive Director of Chevalier International Holdings Limited. He is also a Managing Director of Polaris Holdings Limited, an investment holding and management company that he founded in October 2015. Oscar was educated in Hong Kong, Canada and the United Kingdom. He graduated from the University of Oxford with a degree in Master of Engineering. In 1997, he returned to Hong Kong to engage in finance and had worked in the corporate finance division of BNP Prime Peregrine and subsequently worked as an Associate Underwriter of Centre Solutions (Asia), a subsidiary of Zurich Financial Services, before he joined his family business, Chevalier, in 2000. Between 2004 and 2015, Oscar served as an Executive Director of Chevalier responsible for various business units and he is currently investing through Polaris in the region including Japan. In May 2018, Oscar Chow was appointed as the Honorary Consul for the Kingdom of Bahrain in HKSAR. He is a General Committee Member of both the Hong Kong General Chamber of Commerce and the Chinese Manufacturers’ Association of Hong Kong. He is also Vice Chairman of Hong Kong Bahrain Business Association, a Shanghai Committee Member of the Chinese People’s Political Consultative Conference, and a Court Member of The Hong Kong Polytechnic University. He is a council member of Hong Kong Tennis Association and the Steering Committee Chairman of the Prudential Hong Kong Tennis Open since 2015. Victor Chu was born in Canton, China and came to Hong Kong at the age of four. He received his early education in Hong Kong and England, and took his law degree at University College London where he is now a honorary fellow. Mr Chu is Chairman of First Eastern Investment Group, a leading Hong Kong-based international investment firm and a pioneer of private equity investments in China. He is a Co-Founder and Director of Peach Aviation in Japan, as well as a Board Member of Airbus SE. Over the last 30 years, Victor Chu has at various times served as Director and Council Member of the Hong Kong Stock Exchange, Member of the Hong Kong Takeovers and Mergers Panel, Advisory Committee Member of the Securities and Futures Commission, and part-time member of Hong Kong Government’s Central Policy Unit. Mr Chu has also served as a Foundation Board Member of the World Economic Forum from 2003 to 2015 and currently co-chairs the Forum’s International Business Council. He is Chairman of the Hong Kong-Europe Business Council. Victor Chu has served on the Governing Council of University College London and the Foreign Affairs University of China. He is a Trustee of Asia House in London and Hong Kong, as well as a member of the advisory boards of Chatham House, the Oxford Martin School and the Atlantic Council of the USA. Mr Chu was awarded the 2011 Global Economy Prize by the Kiel Institute for the World Economy. Dr Fu is Chairman of China Resources Group, member of the National Committee of the 12th Chinese People's Political Consultative Conference (CPPCC), Standing Committee member of the 13th Chinese People's Political Consultative Conference (CPPCC), council member and the Vice Chairman of the Asia-Pacific Economic Cooperation (APEC) China Business Council, Honorary President of Hong Kong Chinese Enterprises Association, and member of Chief Executive's Council of Advisers on Innovation and Strategic Development. Dr Fu is also Chairman of China Resources Pharmaceutical. Dr Fu was previously Chairman of China Merchants Group, Chairman of China Merchants Bank, Chairman of China Merchants Holdings (International), Independent Non-executive Director of CapitalLand, and Independent Non-executive Director of Hong Kong Li & Fung. Dr Fu was a graduate of Dalian University of Technology in China. Later he went to the United Kingdom to pursue further studies and got his PhD in Marine Engineering Mechanics from Brunel University in 1986. Dr Fu joined China Resources Group in 2014. Mr Mike began his career at The Mitsubishi Bank (now the Bank) in 1979. From 1987 to 1994, he was with the Bank’s London branch, working in international finance business and from 2000 performed a number of senior roles while based in New York. He later played a pivotal role in the successful merger to create MUFG and the Bank of Tokyo-Mitsubishi UFJ in 2006. And in 2011, he was appointed managing director and chief executive of Corporate Services of the bank. In January 2014, he was appointed vice chairman of the Bangkok-based Bank of Ayudhya (Krungsri), and played a key role in its successful integration with the bank Bangkok branch. He was appointed regional executive for the Americas at MUFG and the Bank, and executive chairman of the board at the Americas HD and the Bank (USA), in 2015. He also served as deputy president, group head of the Global Business Group of MUFG and Co-Chief executive officer of the Global Business Unit of the bank, positions he assumed in 2016. In June 2017, Mr Mike was appointed director, representative corporate executive and deputy chairman of MUFG, as well as the president & CEO of the Bank. KikoKumagaijoined NEC in April 2018 as Senior Executive Vice President leading NEC’s global businesses. In 1979 Kikojoined Mitsui & Co., Ltd and worked in the Chemical Division for five years before joining GE in 1984. In GE he served in a variety of commercial and product management positions in material businesses in Japan and then was named General Manager of Global Accounts, GE Plastics Americas in 1998. He was named President of GE Plastics Japan in January 2001, and in December 2001 was named President and CEO of GE Toshiba Silicones. He was named President and CEO of GE Consumer Finance Japan in February 2006, and was also appointed Corporate Officer of GE. In 2009 he was named President and CEO of GE Healthcare Asia Pacific and in 2013 President and CEO of GE Japan. Kikois a graduate of the University of California, Los Angeles where he earned a bachelor’s degree in Economics. Sean Matsuda joined Bank of Tokyo upon graduation from Hitotsubashi University (Bachelor of Commerce). In 1989, he became the Managing Director of BOT Leasing (Hong Kong) Ltd and assumed dual responsibility as Chairman of the Hong Kong Equipment Leasing Association in 1991-1992. In November 1992, he moved to the Hongkong and Shanghai Banking Corporation Limited as Senior Credit (Corporate Relationship) Manager heading Japanese Business in Hong Kong. In 1999 he became Branch Manager Osaka Office, and soon after became Head of Corporate Banking in Japan. In August 2002, he moved to the HSBC Securities as Deputy COO. In May 2003, he moved to HSBC Global Asset Management (Japan) K.K. as Chief Administrative Officer and subsequently became CEO in September 2003. He stepped down from the position in April 2015 and assumed the Advisory Director responsibility for HSBC Global Asset Management Asia Pacific. In September 2015, he retired from the position and in April 2016 became Professor of Finance at Hosei Business School of Innovation Management. He has been awarded MBAs from University of Surrey (UK) and Newport University (USA). He is a Chartered Financial Analyst (CFA). He is also a Certified Public Accountant in the State of Washington in USA (inactive). He is a fellow member of Global Association of Risk Professionals, and is also a fellow member of Canadian Chartered Business Administration. He is also Energy Risk Professional (ERP). Mr. Seki was appointed as State Minister of Economy, Trade and Industry on October 4, 2018. Prior to his current appointment, Mr. Seki served as Director of the Liberal Democratic Party's Environment Division. He has held senior posts such as Senior Vice-Minister of Environment and Parliamentary Secretary for Economy, Trade and Industry, and has served as Deputy Secretary-General of the Liberal Democratic Party five times. Mr. Seki was first elected to Japan's House of Representatives in 2005 as a representative of Hyogo's 3rd District. He is currently in his fourth term. Prior to holding elected office, he worked at Sumitomo Mitsui Banking Corporation for 17 years. Mr. Seki graduated from Kwansei Gakuin University's School of Economics in 1989 and earned an MBA from the University of Wales in 2015. He was born on June 7, 1965. Ronald Sum is a Partner in the Hong Kong office of Locke Lord and serves as the Firm's Head of Arbitration and ADR, Asia. He concentrates his practice in all areas of dispute resolution, specialising in China related matters, cross border disputes, complex commercial disputes, regulatory bodies investigations, transportation, international trade, insurance and reinsurance, product liability and product recall, including arbitration, litigation, mediation and investigations. Ronald is qualified as a solicitor in Hong Kong, England and Wales and Australia. He is a fellow member of the Hong Kong Institute of Arbitrators and the fellow member of the Chartered Institute of Arbitrators. He is also the chairman of the International Chamber of Commerce: Arbitration and ADR Sub-Committee. He is on the panel of arbitrators of various institutions and has acted both as counsel and arbitrator in administered arbitration proceedings including the ICC, HKIAC, CIETAC, SIAC, LMAA, GAFTA/FOSFA etc. Ronald has conducted arbitration in Hong Kong, China, London, United States, Australia and Singapore. Ronald is also an accredited mediator of HKMAAL, CIETAC and the Law Society of Hong Kong. Ronald's experience on dispute resolution includes complex commercial litigation, export credit insurance and letters of credit disputes, shareholders and minority shareholders disputes, charterparty disputes, defending and pursuing cargo claims, acting for and against logistics companies and liability insurers in various types of claims regarding policy liability, representing shipowners and P&I Clubs in collision cases and representing banks and trading companies and shipowners on various forms of trading disputes, defamation involving cross border jurisdictions. Norman Chan was appointed Chief Executive of the Hong Kong Monetary Authority (HKMA) on 1 October 2009. Mr Chan joined the Hong Kong Government as an Administrative Officer in 1976 and became an Executive Director of the HKMA when it was established in 1993. From 1996 to 2005, Mr Chan served as Deputy Chief Executive of the HKMA. From December 2005 to June 2007, Mr Chan was Vice Chairman, Asia of Standard Chartered Bank. Prior to rejoining the HKMA, Mr Chan was Director of the Chief Executive's Office of the Hong Kong Special Administrative Region Government from July 2007 to July 2009. He was the Founding Chairman of the policy think tank, the Bauhinia Foundation Research Centre established in 2006. Raymund is a Shanghai CPPCC member. He is also the Treasurer of Shanghai Chinese Overseas Friendship Association and a Vice-President of the Hong Kong-Shanghai Economic Development Association. He serves as an Expert Advisor in accounting to the Ministry of Finance in China, and is an Honorary Advisor to the Hong Kong Business Accountants Association. He is also an Advisory Board member of the Duke Kunshan University. James Fok is Head of Group Strategy for Hong Kong Exchanges & Clearing Limited. In this role, Mr. Fok supports the Chief Executive in formulating and executing key strategic plans for the Group, and oversees execution of major projects and business initiatives. Among the initiatives with which Mr. Fok has been closely involved were the acquisition of the London Metal Exchange (2012); the Shanghai-Hong Kong Stock Connect scheme (2014); Bond Connect (2017); and the recent Hong Kong market listing reforms (2018). Prior to joining HKEx in 2012, Mr. Fok was an investment banker specialising in the financial services sector, based in London from 2000-08 and in Hong Kong since 2008. Mr. Fok is a Hong Kong native and holds a degree in Law and Chinese from SOAS. Aged 55, has been re-designated as Executive Director and appointed as the Vice Chairman and Chief Executive of BOC Hong Kong (Holdings) Limited (“BOC Hong Kong (Holdings)”) and Bank of China (Hong Kong) Limited (“BOCHK”) since January 2018. Mr GAO was a Non-executive Director of BOC Hong Kong (Holdings) and BOCHK from March 2015 to December 2017. He was Executive Director of Bank of China Limited (“BOC”) from December 2016 to January 2018 and Executive Vice President of BOC from May 2015 to January 2018. Mr GAO was also the Deputy Chief Executive (Corporate Banking) of BOC Hong Kong (Holdings) and BOCHK from February 2005 to March 2015 and an Executive Director of BOC Hong Kong (Holdings) and BOCHK from May 2007 to March 2015. He has been appointed as Chairman of BOCHK Charitable Foundation, and Chairman of BOC Insurance (International) Holdings Company Limited with effect from 1 January 2018 and Chairman of BOC Group Life Assurance Company Limited (“BOC Life”) effective from 9 February 2018. On 1 January 2018, Mr GAO has been appointed as the designated representative of BOCHK to Hong Kong Association of Banks, member of Risk Management Committee of Hong Kong Exchanges and Clearing Limited, member of each of Banking Advisory Committee and Bank Notes Issue Advisory Committee, Chairman of Hong Kong Interbank Clearing Limited, as well as Vice Chairman of Board of Trustees of Ho Leung Ho Lee Foundation. He has been appointed as Chairman of Chinese Banking Association of Hong Kong since 15 January 2018, Chairman of Hong Kong Chinese Enterprises Association and Chairman of The Hong Kong Chinese Enterprises Charitable Foundation Limited since 19 January 2018, Vice President of The Hong Kong Institute of Bankers since 12 February 2018, member of Exchange Fund Advisory Committee since 20 February 2018, member of General Committee of Hong Kong General Chamber of Commerce since 22 March 2018, and member of the Council of Treasury Markets Association since 9 April 2018. He is also member of HKSAR Human Resources Planning Commission and Co-Chairman of Guangdong-HK-Macao Bay Area Entrepreneurs Union. He has been serving as Chairman of Bank of China (UK) Limited in October 2015. Mr GAO was Chairman of Nanyang Commercial Bank, Limited (“NCB”), Vice Chairman of Nanyang Commercial Bank (China), Limited (“NCB (China)”) and a Director of Bank of China Group Insurance Company Limited and resigned all the positions in March 2015. He had served as Chairman as well as President and Chief Operating Officer of BOC International Holdings Limited (“BOCI”), Chairman of BOC International (China) Co., Ltd. (formerly known as BOC International (China) Limited) and Chairman of Bank of China (Luxembourg) S.A. He was also Chairman of China Cultural Industrial Investment Fund Co., Ltd. and Chairman of BOC Poverty Relief and Education Charity Fund Limited. Mr GAO joined BOC Group in 1986 where he began working on financing projects for various industries at BOC’s Head Office in Beijing. In 1999, he became the General Manager of Corporate Banking at BOC Head Office where he was responsible for managing and building BOC Group’s customer relationships with and global financing for multinational corporations and premium domestic clients in the Mainland of China. He was also in charge of BOC’s major financing projects. Mr GAO graduated from the East China University of Science and Technology with a Master’s Degree in Engineering in 1986. He holds the title of Senior Economist. Subsidiaries & Affiliates Dept., IT Innovation Dept. Helen Wong, Group General Manager of HSBC Group, became Chief Executive for Greater China on 1 March 2015. She is Deputy Chairman of HSBC Bank (China) Company Limited and Vice Chairman of HSBC Qianhai Securities Limited. Ms Wong is also Chairman of both HSBC Global Asset Management (HK) Limited and HSBC Bank (Taiwan) Limited. Ms Wong has over 30 years of banking experience in Asia-Pacific. Joining HSBC in 1992, she served in a number of senior management roles in Global Banking and Markets spearheading businesses that supported the expansion of HSBC's capital markets franchise in Asia. Ms Wong led the expansion of the Group’s mainland China business, establishing HSBC as the largest foreign bank in China. She has played a key role in securing HSBC’s leading position in the internationalisation of the RMB. Ms Wong is the Vice Chairman of the Executive Board and Director of the Board of Directors of the Asian Financial Cooperation Association. She is the chairperson of the Hong Kong Trade Development Council (HKTDC) Financial Services Advisory Committee. Ms Wong is non-executive director of the Bank of Communications Co., Ltd. She is a member of the 13th Shanghai Committee of the Chinese People’s Political Consultative Conference and an International Senior Economic Consultant for the Shaanxi Provincial People’s Government. She is a member of the Strategic Development Committee of the Shenzhen Stock Exchange. Joey Ho draws his creative inspirations from the far-reaching corners of Asia. Born in Taiwan, raised in Singapore, graduated from The University of Hong Kong (Master of Architecture) and The National University of Singapore (Bachelor of Architectural Studies). Each of these culturally diverse yet artistically vibrant qualities have played their parts in fashioning Joey's unique and avant-garde perspectives of the world. Joey has established a high profile clientele in corporate, residential, education, hospitality and various sectors, with projects over Hong Kong, the Greater China region, Singapore, India, the US and Australia. To-date, Joey's designs have won numerous internationally recognized awards. He is the Chairman of the Hong Kong Interior Design Association, the director of Hong Kong Design Centre, course consultant of Hong Kong Institute of Vocational Education and advisory committee member of Hong Kong Trade and Development Council, actively involves in promoting the development of the design industry. Kay Kwok debuted his collection to critical acclaim at London Fashion Week in 2013 and is known for his futuristic and contemporary menswear. Based in Hong Kong, he studied at Hong Kong Polytechnic before moving to the London College of Fashion during which he interned with Alexander McQueen. His graduate collection placed first in international fashion competition, Mittelmoda, making him the first Chinese fashion designer to win the accolade in the past 20 years. He is also one of the winners of DFA Hong Kong Young Design Talent Award in 2015. Kwok has also collaborated with numerous world-class brands and organisations including Sony. The label is a favorite with music talents including UK’s MUSE, Korea’s SHINEE and artists Aaron Kwok, Karen Mok, A-Mei, Joey Yung and Landy Wan. Dr Edmund Lee is the Executive Director of Hong Kong Design Centre, the HKSAR Government’s strategic partner on design dedicated to raising Hong Kong’s profile as a design hub of creativity and innovation, driving value creation through design and innovation. Dr Lee is a Companion of Chartered Management Institute and a Fellow of the Royal Society for the Encouragement of Arts, Manufacturers and Commerce. He currently serves as Board of Director of PMQ, Joint Convenor of the annual Business of IP Asia Forum, Member of the Design Council of The Federation of Hong Kong Industries, Advisory Committee on Design, Licensing and Marketing of Hong Kong Trade Development Council, and Central and Western District Advisory Committee of Urban Renewal Authority. He is also a Co-opted Member of the Task Force on Harbourfront Developments in Kowloon, Tsuen Wan and Kwai Tsing of Harbourfront Commission, committee member of the Design Council of IE School of Architecture and Design (Spain), member of the Advisory Committee of the Institute of Active Ageing of Hong Kong Polytechnic University, and of the Arts and Culture Advisory Committee of Hong Kong International Airport. He is Past President of Rotary Club of Hong Kong Financial Centre and honorary member of Rotary Club of Innovation Hong Kong, and holds memberships in a number of professional bodies and service organisations. Dr Lee received his PhD in biotechnology from King’s College London, and MBA from Warwick Business School in the UK. He has obtained the HBS Club Scholarship to complete an advanced training in non-profit management at Harvard Business School. He provides creative education through workshops for universities, NPOs and companies as a philosopher who explores the ideal form of design thinking. He has accomplished beyond the fields of and active in architecture, graphic design, product design, and has the experience of winning over 50 awards internationally in leading design awards. WIKI "OLIVE”, launching only 40 hours after the Great East Japan Earthquake hit, shared useful open designs for disaster survivors, established the disaster-prevention design movement. He worked for developing TOKYO BOSAI (cooperation with Dentsu Inc.), the largest disaster prevention plan in Japanese government history that Tokyo issued more than 7.8 million copies. Currently, through design strategies that encourage social change, he continues to co-create with various organizations in fields such as next generation energy · regional activity · generation inheritance · traditional industry · scientific communication. Stanley Wong (anothermountainman) is a renowned designer and contemporary artist. Following five years as graphic designer, Wong began his career in the advertising industry working as Creative Director for many international advertising companies. Fifteen years later, Wong became a film director for television commercials in 2001 and established 84000 Communications in 2007, branching out his creative career. Wong is the recipient of more than 600 local and international awards for his art, design, photography and advertising works, including 2 One Show gold awards from U.S., D&AD Yellow Pencil from UK and Tokyo TDC Awards. Many of his art works have been exhibited local and overseas galleries and museums for more than 100 shows included solo show in Tokyo ggg (ginza graphic gallery) in 2015, and are now part of their permanent collection, including Hong Kong M+ and London V&A Museum. Wong was also awarded the Artist of the Year 2011 (Visual Arts) from Hong Kong Arts Development Awards and the Hong Kong Contemporary Art Awards 2012 from Hong Kong Museum of Art. Additionally, anothermountainman is very passionate in photography and various creative mediums with a strong focus on social issues. For almost past two decade, Wong has gained international awareness with his ‘red, white and blue’ collection, representing the ‘positive spirit of Hong Kong’ which he presented at the 51st Venice Biennale in 2005 representing Hong Kong. Professor Eric Yim is a Cambridge-trained architect, freelance furniture designer, award-winning industrialist and a Professor in School of Design of Hong Kong Polytechnic University. Professor Yim serves as Chairman of Hong Kong Design Centre, Chairman of Design Council of Hong Kong, Chairman of Hong Kong Furniture & Decoration Trade Association, Chairman of Hong Kong Export Credit Insurance Corporation, Chairman of Hong Kong Technology Voucher Programme Committee, Deputy Chairman of Federation of Hong Kong Industries, Deputy Chairman of Vocational Training Council, Court Member of Hong Kong Polytechnic University, Adviser to Hong Kong Design Institute, Board Governor of Technological and Higher Education Institute of Hong Kong, Director of Ocean Park Corporation, Member of Consultation Panel of the West Kowloon Cultural District Authority, Member of Museum Advisory Committee of Leisure and Cultural Services Department and Member of Chief Executive's Council of Advisors on Innovation and Strategic Development. Managing Director of Radiant Venture Capital. Graduated from Pepperdine University in the United States with a BA degree in Business Administration. After over 20 years of investment and M&A experience in the Greater China region, and several IPOs in the Hong Kong and Shenzhen Stock Exchange, Duncan founded Radiant Venture Capital in 2014 to focus in early stage investments into tech startups. Since then, Radiant has already invested into more than 30 startup companies in China, United States, Israel and Hong Kong. Duncan has participated and spoke at tech forums and conferences regularly to promote startup culture in Hong Kong and also help young entrepreneurs with business plan workshops and mentorship. Duncan is enthusiastic at information technology as well as social and community related affairs. He is currently the President of Hong Kong Information Technology Joint Council (HKITJC), Director of Hong Kong Cyberport Management Company Limited, Member of the Board of Directors of Hong Kong Applied Science and Technology Research Institute Company Limited, Group 30 Vice-Chairman (Innovation and Creative Industries Council) of Federation of Hong Kong Industries, Secretary General of Asian Squash Federation, Vice Chairman of Hong Kong Squash, Director of Ju Ching Chu Secondary Schools (Kwai Chung, Yuen Long, Tuen Mun), Member of the Chinese People’s Political Consultative Conference - Shanghai Committee, Director of Council for the Promotion of Guangdong-Hongkong-Macao Cooperation (Information Technology Committee), Vice Chairman of Henan Provincial Youth Federation and Standing Committee Member of Shenzhen Association for Science & Technology. Marty Jetton is a Founding Partner in Ultifin Limited, a Hong Kong-based FinTech company that is building a platform that has more value-added financial modelling functionalities than typical crowdfunding platforms, while achieving greater scalability and cost efficiencies than traditional investment banks. Marty’s professional career began in Investment Banking with The Chase Manhattan Bank and CIBC. He has built and managed risk management teams in Singapore, Hong Kong, and Tokyo. During the 1990’s amid a strong push by global investment funds into emerging markets, Marty set up Chase’s first global custody operation in China, India, and Bangladesh. Marty is a veteran of leading through multiple credit cycles including the Asian Financial Crisis of the late 1990’s, SARS in the early 2000’s, the Global Financial Crisis of 2008, and various East Asian political transitions, to name a few. Through this professional path, Marty has been able to observe the rapid economic growth experienced across Asia, while also witnessing the impact increased regulations and higher costs are having on the banking sector. These developments combined with the rapid change on the tech front are allowing Marty to introduce technological tools to increase efficiencies, lower cost, while maintaining risk standards. Marty gained his preliminary interest and experience in Asia during his study at the Thunderbird School of Global Management, where he obtained his Masters of International Management degree, specializing in Southeast Asian Studies. Dr George LAM is Non-Executive Chairman - Hong Kong and ASEAN Region and Chief Adviser to Macquarie Infrastructure and Real Assets Asia. He has over 30 years of international management experience across the telecommunications/media/ technology (TMT), financial services, consumer/ healthcare, infrastructure and energy/resources sectors, and has served in leadership roles (including Executive Director, Chairman, Vice Chairman, CEO, COO and General Manager) with several leading multinational corporations including Hong Kong Telecom, Singapore Technologies Telemedia (Temasek Holdings), Macquarie Capital, BOC International Holdings (the Bank of China group) and Chia Tai Enterprises International Limited (CP Group). He has extensive experience and connections in the innovation and digital technology spheres and in general management, strategy consulting, corporate governance, direct investment, investment banking and fund management. Dr Lam has also been actively participating in community service. Currently, he is a member of the Hong Kong Special Administrative Region Government's Committee on Innovation, Technology and Re-Industrialization, the Belt and Road Committee of the Hong Kong Trade and Development Council, and the Court of the City University of Hong Kong, Chairman of Monte Jade Science and Technology Association of Hong Kong, Honorary Advisor to the Hong Kong Business Angel Network (HKBAN), President of the United Nations Economic and Social Commission for Asia and the Pacific (UN ESCAP) Sustainable Business Network (ESBN) Executive Council and Chairman of its Task Force on Banking and Finance, a Board member of Pacific Basin Economic Council (PBEC), and Chairman of the Permanent Commission on Economic and Financial Issues of World Union of Small and Medium Enterprises (WUSME). Apart from serving on local and international public bodies, Dr Lam has also taught at Tsinghua University, the Hong Kong University of Science and Technology, the Chinese University of Hong Kong, Hong Kong Baptist University and the City University of Hong Kong. He is committed to nurturing talents and youth and next-generation SMEs, and fostering the development of Hong Kong's digital economy and ICT sector. Dr Lam holds a BSc in Sciences and Mathematics, an MSc in Systems Science and an MBA from the University of Ottawa in Canada; a LLM in Law from the University of Wolverhampton in the UK; an MPA and a PhD from the University of Hong Kong. He is also a Solicitor of the High Court of Hong Kong (and formerly a member of the Hong Kong Bar), a Fellow of the Hong Kong Institute of Arbitrators, a Fellow of CMA Australia, and an Honorary Fellow of CPA Australia and the University of Hong Kong School of Professional and Continuing Education (HKU SPACE). Ms. Viola Lam, Founder & CEO of AI company - Find Solution Artificial Intelligence Limited (FSAI), was founded in Hong Kong in 2016, who won the Entrepreneur Year 2015/16 of the Youth Business International. This is one of the world's most honorific award for young successful entrepreneurs who make positive contributions to both society and people. Ms. Lam was selected by the judges over 1,000 top-notch competitors from 68 countries with her far-sighted vision in education, clear and sustainable business model and her ambitious plans for growth. Besides, 2018 was a fruitful year for FSAI, had regarded as Top 25 AI companies, Gold Winner of Smart Living in ICT Award 2018, Hong Kong Smart City Awards 2018 in Smart People, 30 Admired Companies To Watch 2018, The 10 most innovative Cognitive Solution Providers, CRE Innovative AI Enhanced eLearning Service 2018 etc. With Viola’s significant teaching achievement and experience, she understands the excessive demand on both of education (and potentially on medical research). This is the reason she would like to improve students study progress with the innovation of the self-motivated learning model and Find Solution AI was born. Victor Lang is Co-founder and Chief Operations Officer (COO) of gini, which is an app that aims to make everyone great at managing their own finances. Lang established himself by acquiring and rehabilitating distressed real estate during the financial crisis. His previous start up, Restore Flow Allografts was sold to Nasdaq-listed LeMaitre Vascular in the fall of 2016. He invests personally via CV Ventures, mainly focused on investments in biotech, fintech and real estate. Through CV Ventures, he is a Senior Advisor and Board member of the largest private diagnostic laboratory group in Hong Kong. Victor was formerly a Business Week Top 25 under 25 Entrepreneur in Asia (at a time when he had a lot less gray hair), and was educated at DePaul University in Chicago. Farm66’s Founder and CEO, expert in aquaponics farming system design, light spectrum development and in charge of overall project development. Mr. Tam obtained his Bachelor’s Degree in Interior Design and Architectural program at the Washington State University. After graduation, he returned to Hong Kong and worked at a famous architecture design company, specialized in corporate image system design, and was involved in a number of projects for banks, hotels, clubs, nursing homes and so on. In 2011, he obtained a master’s degree in Sustainable Urban Development from the Hong Kong Polytechnic University. The course involved the study of redevelopment projects in the old areas of Hong Kong, factory-activated solutions and real estate asset management. Mr. Tam is devoted to the study of organic hydroponic growing systems, especially in aquaponics concepts and research in Hong Kong and the feasibility of automatic environmental controlled vegetables farming factory. In recent years, he has been invited by many corporations, schools and social enterprises to give lectures on scientific research in agriculture and environmental protection. He has received much attentions from both local and overseas media with a lot of press coverage. Local and overseas experts have paid visits to Farm66 to share the knowledge. Since 2016, he has been appointed as a board director and a committee member of the Federation of Hong Kong Agricultural Associations. Kevin and team aim to create screen free products that balance the fine line between function and freedom. He leads the team's innovation, investor outreach and R&D/tinkering efforts. Kevin was General Manager at Kowloon Watch Company, a luxury watch manufacturer and retailer. Kevin earned his B.A. in Political Science and East Asian Studies from New York University, and completed his MBA from the Hong Kong University of Science and Technology. Mr Peter Yan is the Chief Executive Officer of the Hong Kong Cyberport Management Company Limited. As the CEO of Cyberport, Mr Yan will lead the digital technology flagship to focus on fostering industry development, enterprise transformation and talent cultivation to realise Cyberport’s vision to create new impetus for Hong Kong’s new economy through digital technology. Mr Yan has 32 years of experience in the information technology industry and is a fellow of the Hong Kong Computer Society. Prior to joining Cyberport, Mr Yan was the Executive Director and Chief Executive Officer of SUNeVision Holdings Limited; and had held various senior management positions in large consulting and information technology services companies including Accenture, Tradelink Electronic Commerce Limited, and Computer and Technologies Holdings Limited. Mr Yan has been active in public services especially in the areas of talent development and digital technology industry development, serving as advisors to the Chinese University of Hong Kong, City University of Hong Kong and University of Hong Kong, as well as the Board of Cyberport from 2011 to 2017. Mr Yan holds a Bachelor’s degree in Business Administration from The Chinese University of Hong Kong, and received Executive Education from the Harvard Business School. Kenneth is a charismatic youth who has received formal education in the field of Finance, pursuing a Major in Finance at the Singapore University of Social Sciences (SUSS) with a Minor in Entrepreneurship under the Alibaba Cloud-SUSS programme. His participation in the Minor programme saw him clinch 1st place in the May 2018 Pitch to Investors, and subsequently attaining 1st place in the September 2018 regional Create at Alibaba Cloud Start-up Competition (CACSC) as well. His personal interest in the field of finance has also driven him to take up multiple internship opportunities at the Markets & Securities Services Division at Citigroup, the Trade Finance division of China Construction Bank Corporation, and the New Business division at Standard Chartered Bank. Beyond the academic and corporate environment, a burning passion for community service as well as personal and team development has seen him travel the world in appreciation of other cultures and serving those from less fortunate communities, actively contributing to local and international communities alike through his volunteering efforts at the Youth Corps Singapore and at SUSS. He believes in making the most out of life, love, and entrepreneurship through his personal ethos “stay curious!”. Hideto Akiba is the President of the Organization for Small & Medium Enterprises and Regional Innovation, JAPAN (SMRJ). He started his career in the Ministry of International Trade and Industry (METI) at the Industrial Location and Environmental Protection Bureau. He subsequently studied in the University of California, San Diego and the School of Economics, Peking University. In 1999, he became the First Secretary of the Embassy of Japan in China. In 2004, he became Director (Industrial Research) at the Japan External Trade Organization Hong Kong. He then assumed different positions in METI, including Director of Industrial Machinery Division (2007-2008), Director of Northeast Asia Division (2008-2011) and Director of Commerce Supervisory Division (2011-2012). In July 2012, he became Director-General, General Coordination Department of Japan Oil, Gas and Metals National Corporation. Before assuming presidency of SMRJ in July 2016, he had been the Director-General of Hokkaido Bureau of Economy, Trade and Industry since 2014. Recently, he has concentrated on developing business under the umbrella of MARUGAME SEIMEN brand (a self-service Sanuki Udon restaurant chain.) In April 2011, he opened the first overseas MARUGAME SEIMEN outlet in Waikiki, Hawaii. The company has been expanding rapidly into overseas markets, aspiring to become a globally competitive company. It was listed on the First Section of the Tokyo Stock Exchange in 2008 and changed the trade name to TORIDOLL Holdings Corporation in 2016. Currently, the company operates more than 1,500 outlets in Japan and overseas. July 2013 Received the 15th "Entrepreneur Award" by Kigyoka Club Co., Ltd. Started as an entrepreneur by dispatching musicians as a business in university, Mr. Hiroyasu Koma founded Koma Enterprise which involved in marketing and business process outsourcing services for domestic and international electronics companies in 2000. Mr Koma founded GLM Co., Ltd. in 2010. GLM built its first electric vehicle sport car “Tommykaira ZZ” using its self-developed electric vehicle platform. In 2015, GLM launched the production of electric vehicle as the only venture company in Japan. GLM announced its next generation electric vehicle concept car “GLM G4” at the Paris Motor Show in 2016. In 2017, GLM exchanged its shares with O LUXE HLD (Stock Code: 860) which is listed on Hong Kong Exchanges and Clearing Limited and assumed the post of Executive Director of O LUXE HLD. The company changed its name from O LUXE HLD to We Solutions Limited to become focused in the provision of electric vehicle development solutions centered on GLM. Mr Lam Kin Fung, Jeffrey, GBS, JP, holds a bachelor degree in mechanical engineering from Tufts University in the United States and was conferred university fellow of Tufts University and The Hong Kong Polytechnic University. Mr Lam is currently the Managing Director of Forward Winsome Industries Limited, has over 30 years of experience in toy industry. In addition, Mr Lam is a member of the National Committee of the Chinese People's Political Consultative Conference, a member of the Legislative Council of the HKSAR, a non-official member of the Executive Council of the HKSAR, a member of the Board of The Airport Authority Hong Kong, the Chairman of the Independent Commission Against Corruption Complaints Committee, a general committee member of the Hong Kong General Chamber of Commerce, a honorary member of the Court of The Hong Kong Polytechnic University, and a Director of the Hong Kong Mortgage Corporation Limited. Mr Lam also holds a number of other public and community service positions. Mr Lam was awarded the Young Industrialist Award of Hong Kong in 1989 and the Outstanding Achievement Award – Hong Kong Toy Industry in 1999. In 1996, he was appointed Justice of the Peace and became a member of the Most Excellent Order of the British Empire. Mr Lam was awarded the Silver Bauhinia Star in 2004 and the Gold Bauhinia Star in 2011 respectively. Tommy is the brand designer/consultant for the generation renowned for his "Black Humor" and "Audacious Visual" designs. Spanning Hong Kong, China, Japan, and Italy, he is one of the few designers from Hong Kong to have penetrated the international market. His design philosophy is to be able to create influential design in the market in order to experience the value of the designer. "Agosto", a best-selling design magazine in Japan, has cited Tommy as the only graphic designer with potential to have an influential impact on Hong Kong in the next decade. He has become a member of AGI (Alliance Graphique Internationale — a globally renowned alliance of graphic artist and designers) since 2005. His 20 years solo exhibition – From Hong Kong (covering an area of 15,000 square feet),Chengdu, Suzhou, Beijing to Shenzhen from 2010 to 2015. [Rebranding X Consumption Jungle] published in 2010, this is the best seller of brand design text books in China. Over the years, he has been the judge of various international competitions, such as iF Design, D & AD Award, Global Design Award, Hong Kong International Poster Triennial, Golden Pin Design Award etc. Tommy has brought remarkable success to his major clients including Hang Seng Bank, MTR Corporation, Maxim's Caterers, Chow Sang Sang Holdings International Ltd, Taetea Group, Dairy Farm Group (First Choice), Honeymoon Dessert, Ying Kee Tea House, HKPC, Shanghai Watch etc. Mr Stephen Phillips is the Director-General of Investment Promotion at Invest Hong Kong (InvestHK), the Government Department responsible for attracting and facilitating foreign direct investment into Hong Kong. Mr Phillips has served in senior positions in a number of private and public organisations. He lived and worked in Hong Kong from 1989 to 2004 holding senior investment banking positions with Deutsche and BZW/Barclays Capital before co-founding a Hong Kong-based group of companies providing IT, financial and consultancy services across Asia. In 2004, Mr Phillips joined UK Trade & Investment (now the UK's Department of International Trade) before becoming the Chief Executive of the China Britain Business Council in 2006, as well as Chairman of the EU China Business Association. Mr Phillips holds a BSc in Chemistry and Law from the University of Exeter. Asia & Oceania Division, Ryohin Keikaku, Co. Ltd.
Kei Suzuki is Director of Ryohin Keikaku Co., Ltd. He currently serves as General Manager, Asia & Oceania Division (MUJI Shanghai Co., Ltd, MUJI Hong Kong Co., Ltd, MUJI Taiwan Co., Ltd, MUJI Korea Co., Ltd, MUJI (Singapore) Private Ltd.,MUJI (Malaysia) Sdn.Bhd.,MUJI Retail (Thailand) Co.,Ltd., MUJI RETAIL (AUSTRALIA) PTY LTD, MUJI PHILIPPINES CORP.,), and has previously served as General Manager of the Household Division, General Manager of HR division, General Manager of Regional Management-Europe, Overseas Operations Division. Prior to joining Ryohin Keikaku Co., Ltd., he worked at Seibu Department Stores, Ltd (presently, Sogo & Seibu Co., Ltd.). Mizuho Financial Group, Inc. and Mizuho Bank, Ltd.
Mr Denis Brock joined the Law Society Council in 2000. He currently serves as the Chairman of the Standing Committee on Practitioners Affairs, Hong Kong Solicitors Indemnity Fund Ltd, Higher Rights of Audience Committee and Foreign Lawyers Committee. He has been involved in the work of Standing Committee on Compliance, Standing Committee on Policy and Resources, Investigation Committee, Civil Litigation Committee, Insurance Law Committee, and Arbitration Committee. Mr Brock is the Managing Partner of O'Melveny's Hong Kong office and serves as Chair of the International Disputes and Arbitration Practice. He concentrates his practice on commercial and corporate arbitration, litigation, and regulatory investigations. He is regularly recognised as a leading dispute resolution and insurance practitioner in Asia and the UK. He is currently ranked as “Band 1” by Chambers Asia in dispute resolution. He is a Solicitor Advocate in England & Wales and one of only a handful of Solicitor Advocates in Hong Kong (with full rights of audience before all courts). Mr Brock acts for the world’s largest clients on their most high-profile and complex cases. He draws on years of experience handling corporate and joint venture disputes, partnership issues, commodities and resources disputes, professional negligence claims (particularly against accountants, brokers and lawyers), banking and finance litigation, insurance matters and regulatory issues. Ms. Teresa Cheng, SC, was appointed Secretary for Justice on January 6, 2018. She was a Senior Counsel in private practice before joining the Government. She is also a chartered engineer, chartered arbitrator and accredited mediator. She was frequently engaged as arbitrator or counsel in complex international commercial or investment disputes. Ms. Cheng was one of the founders and Chairman of the Asian Academy of International Law. She is a Past Vice President of the International Council of Commercial Arbitration, Past Vice President of the ICC International Court of Arbitration and Past Chairperson of Hong Kong International Arbitration Centre. In 2008, she became the first Asian woman elected through a global election as President of the Chartered Institute of Arbitrators. She served as Deputy Judge / Recorder in the Court of First Instance of the High Court of Hong Kong from 2011 to 2017. She is a member of the International Centre for Settlement of Investment Disputes Panel of Arbitrators, and was a member of the World Bank's Sanctions Board. Ms. Cheng is a Fellow of King's College in London, and was the Course Director of the International Arbitration and Dispute Settlement Course at the Law School of Tsinghua University in Beijing. Ms. Cheng has co-authored numerous books and articles in journals and seminars. Some of her publications include “Construction Law and Practice in Hong Kong” and “Arbitration in Hong Kong: A Practical Guide”, published by Sweet & Maxwell, as well as papers in the “International Council for Commercial Arbitration Congress Series”, published by Kluwer Law International. Douglas Clark is a Hong Kong barrister who specialises in intellectual property litigation. He was previously (as a solicitor) Managing Partner of the Hogan Lovells’ Shanghai office and was based in Shanghai from 2000 to 2011. He has advised clients on numerous cross border intellectual litigation cases and also sat as an arbitrator in a number of technology and IP related cases. He is also has domain name panelist for a number of institutions and has rendered decisions in close to 300 cases in English, Chinese and Japanese. Doug is an adjunct professor in the Faculty of Law of the University of Hong Kong where he teaches Hong Kong Intellectual Property Law as part of the LLM program. Doug studied on exchange at Nagata Senior High School in Kobe, Japan from 1983 to 1984 and at Fudan University in Shanghai, China from 1988 to 1990. He is fluent in Japanese and Mandarin Chinese. Doug is the author of Patent Litigation in China (OUP) and the General Editor and co-author of Hong Kong Intellectual Property (LexisNexis). He has also written a history of British and American extraterritoriality in China and Japan, Gunboat Justice. Victor Dawes SC is a commercial litigator and arbitrator. He has substantial experience in commercial disputes with emphasis on international arbitration, securities and regulatory matters, company law and banking and financial disputes. He has acted for a number of corporations in Japan in both litigation in Hong Kong and in international arbitrations. As part of his ADR practice, Victor appears regularly as counsel in arbitrations and in related court applications in Hong Kong. He also sits regularly as arbitrator in a wide range of commercial disputes in Hong Kong and overseas. He is on the HKIAC Panel of Arbitrators and also the HKIAC Panel for Financial Services Disputes. He was a member of the Hong Kong Law Reform Commission's Sub-Committee on Third Party Funding for Arbitration. Victor has also been appointed to sit as a deputy judge in both the District Court and the High Court in Hong Kong. Hannah Ha is a partner of the Corporate & Securities practice and co-head of the Asia Antitrust & Competition Team of Mayer Brown JSM in Hong Kong. Hannah's primary practice focuses on mergers and acquisitions and she has extensive experience in foreign direct investment in China, cross-border mergers and acquisitions, private equity transactions and general corporate and commercial matters. She advises sovereign wealth funds, blue-chip companies, multi-national corporations and mainland Chinese companies. Her industry experience is wide-ranging, including financial services, pharmaceuticals, aviation, chemicals, construction, consumer products, transport, food & beverages and real estate. Hannah has been named leading lawyer for Mergers and Acquisitions by Expert Guides: Women in Business Law in 2014-2016 and leading Corporate/M&A Lawyer by Chambers Asia Pacific 2011-2017. Hannah is a China-Appointed Attesting Officer (appointed by the Ministry of Justice of PRC) and a Notary Public in Hong Kong. She speaks English, Cantonese and Mandarin. Mr Houghton practices as a barrister (now Senior Counsel) in Hong Kong in Des Voeux Chambers since 1989. This practice encompasses general civil and commercial litigation, but latterly with a particular emphasis on construction and engineering litigation and arbitration. Appearances have been required locally and internationally before arbitrators and in courts in Hong Kong at all levels, and in several specialist lists. Advisory work in relation to standard form construction contract drafting has also been undertaken for a number of clients. Mr Houghton is a panel member of many institutional, regional and international bodies including bodies in Hong Kong, China, Singapore, Malaysia, the Philippines, Korea and Dubai. Appointments have also been accepted to act as an Adjudicator or as a Mediator on both domestic and international disputes. Mr Houghton was appointed as a Recorder of the Court of First Instance of the High Court of Hong Kong in March 2013 having previously been appointed as a Deputy Judge of that Court. Mr Houghton is an approved tutor and course director for the Chartered Institute of Arbitrators and a former Chairman of the East Asia Branch of the Chartered Institute of Arbitrators. Mr Houghton has been, for several years, a committee member of the Chartered Institute of Arbitrators Association in Thailand. Mr Houghton is a regular speaker at academic and professional conferences throughout the East Asia region. His expertise in the areas of dispute resolution, has enabled him to lecture or teach at courses and seminars organised by the Hong Kong Bar Association, the Law Society and the Chartered Institute of Arbitrators. Tutoring has also been undertaken for the Hong Kong University and City University Master's degree courses. Assistance has been given in the running of many educational and training courses particularly for the Chartered Institute of Arbitrators, at levels from Associate to Chartered Arbitrator in China and in Hong Kong, and in Dubai, Indonesia, Japan, Malaysia, Mongolia, The Philippines, Singapore, and Thailand. Charmaine is the Co-Head of Deacons' Intellectual Property Department. Charmaine is admitted as a solicitor in Hong Kong, Canada and England and Wales. She has a BSc in biology from the University of Toronto, an LLB from Queen's University, an LLM from Cambridge University and a Diploma in IP Law and Practice from the University of Bristol. Charmaine's practice covers all aspects of IP work including anti-counterfeiting strategies and enforcement of IP rights. She advises on complex IP enforcement advice and litigation and has won a number of high profile court cases resulting in ground-breaking decisions in the Hong Kong IP field. Her leading cases include Yakult vs. Yakudo, Guccio Gucci S.P.A. vs. Cosimo Gucci and Richemont International S.A. vs. Da Vinci Collections (HK) Limited. Her recent case Tsit Wing (Hong Kong) Company Limited vs. TWG Tea Company Pte Ltd. which succeeded at the Court of Final Appeal was voted by Managing IP Magazine as the "Hong Kong IP case of the Year 2013". She has also acted for clients in many IP arbitrations including successfully obtaining an urgent interlocutory injunction in aid of arbitration in relation to the well-known television singing contest "The Voice" against their former China licensee, and acting for one of the world's leading providers of optoelectronic solutions in major complex litigation and arbitration actions against one of the biggest Chinese electronics conglomerate for breach of confidence and patent infringement. Charmaine is a prolific speaker on a wide range of IP issues and contributing author: "Copyright Litigation Jurisdictional Comparisons" (The European Lawyer), "Patent Litigation Global Guide - Hong Kong Chapter" (Thomson Reuters), "International Licensing" (BNA International Inc.), "International Advertising Law" (Globe Law and Business) as well as the International Independent Film & Television Alliance's Arbitration Award and Enforcement Guide. Euromoney Legal Media Group's Asia Women in Business Law Awards -Best in IP Litigation in Asia (2013), Finalist for five consecutive years (2013 – 2017). Benny is a law graduate of Cambridge University and his legal practice focuses on the resolution of commercial, corporate and IP disputes. Before becoming a lawyer, Benny had been engaged in pharmaceutical and biotechnology research in the UK. Apart from working as a lawyer, Benny also regularly sits as an arbitrator. He is a Chartered Arbitrator and Fellow of the Chartered Institute of Arbitrators (CIArb), and has been included by the HKIAC, CIETAC, AIAC and WIPO on their respective panel of arbitrators. He has been appointed to arbitrate disputes on commercial, investment, professional negligence and IP licensing matters. Benny is also an accredited mediator. Private practice aside, Benny serves Hong Kong in various judicial and quasi-judicial capacities. He was appointed by the Chief Justice of Hong Kong to sit as a Temporary Deputy Registrar of the High Court and a Deputy District Judge. He is also serving as Chairman or Member of various statutory and non-statutory boards and tribunals. Hiroko is a native of Japan and is fluent in Japanese and English. She is admitted as a solicitor in Hong Kong and England and Wales (non-practising), and is the first Japanese partner to be appointed by Deacons in its 165 years history. Hiroko received a BA from Sophia University in Tokyo and an LLB from the University of London. She then completed her LPC at The College of Law, Guildford in the UK before starting a two-year traineeship with the Hong Kong office of a UK firm. She has been practicing law in Hong Kong ever since, and has more than 19 years of experience. Hiroko has advised numerous Japanese companies conducting business in Hong Kong and PRC in relation to mergers and acquisitions, and other general commercial matters including joint venture agreements, employment matters and distributorship agreements. She also assists Japanese clients in various litigation, arbitration and mediation cases involving shareholders disputes, debt recovery, export insurance and other commercial matters. Hiroko’s extensive and varied experience enables her to understand the client’s needs from both a commercial and cultural perspective. She provides clients with insight into the cultural differences between Japanese and non-Japanese companies which is invaluable when assisting them in negotiations with their counter parties. Hiroko is Vice-Chair of the Scholarship Committee of the Inter-Pacific Bar Association (IPBA) which is an international association of business and commercial lawyers who live in, or otherwise have a strong interest in, the Asia-Pacific Region. Kim M. Rooney is an international arbitrator and barrister. She is a member of the ICC's International Court of Arbitration and its Commission on the Belt & Road. She is Vice Chair of the eBRAM Centre, and a member of the Hong Kong Bar Association Council chairing its International Practice Committee. Kim sits as an international arbitrator in arbitrations involving banking and finance, commercial, construction, distribution, energy, infrastructure, intellectual property rights, information technology, investment, licensing, mining and trade disputes. She is on the panels of many international arbitral institutions. Kim was previously a partner of White & Case LLP, heading its Asian international dispute resolution practice. Since the 1990's she has represented Governments/ministries, state owned enterprises, multilateral agencies and multi-national corporations in international arbitrations and related proceedings. Kim chaired the Hong Kong Law Reform Commission's Sub-Committee on Third Party Funding for Arbitration; she was a member of the ICCA Queen Mary Taskforce on Third Party Funding for Arbitration. Kim was a Senior Expert in Alternative Dispute Resolution in an EU-funded Activity in the Indonesian public sector reviewing alternatives to arbitration and litigation for resolving investor-state disputes (2013-2016). She regularly writes and lectures about international arbitration, dispute resolution and ethics. She is a member of the editorial boards of CIArb's The International Journal of Arbitration, Mediation and Dispute Management, the IBA's Dispute Resolution International Journal and the ICC's New York Convention (Recognition and Enforcement of Arbitral Awards) Guide. Paul Starr is Practice Team Leader of King & Wood Mallesons. An honours graduate in law from Peterhouse, Cambridge University, England, Paul won a scholarship and the University's prestigious Squire Law Prize. The Global Arbitration Review cites a client's praise for Paul as: "Simply the best lawyer for dispute resolution in construction and industrials in the East Asia and Pacific region". The Asia Pacific Legal 500 specifically singles out Paul as "an excellent strategist". Chambers Asia Pacific adds "everything you need in a lawyer - he's bright and a great listener, but above all a master of tactics and strategy. He is decisive, clear and spot-on. He doesn't just give superb advice: he gives the solution". Chambers Asia describes Paul as a "razor-sharp, supreme strategist who is attuned to clients... ‘able to think really creatively about the issue at hand'." Chambers quotes clients as saying: "his knowledge of disputes is extraordinary, and his track record speaks for itself. What really amazed me is that though he is so senior on the team, he focuses on details to an amazing degree". The Who's Who Legal Construction 2018 Analysis lists 799 lawyers from nearly 400 firms, and describes Paul as the "go-to name on construction and infrastructure dispute resolution and a legend of the Hong Kong legal scene". Born in Osaka in April 1958. Mr. Fujimoto began his career at Matsushita Electric Trading Company (now known as Panasonic) in 1982. During his 35 years in Panasonic, he has gained extensive experience in managing B2B as well as B2C business of local and global market. Prior to joining Shun Hing Group, he was the Chief Operating Officer (COO) of Global Consumer Products Marketing & Sales in Panasonic Appliance Company – which is one of four major companies in Panasonic. He was responsible for consumer products business all over the world, which includes Americas, Europe, Asia and China. He has great achievements in promoting the premium brand strategy of Panasonic. In 2017, Mr. Fujimoto joined Panasonic’s Hong Kong sole distributor- Shun Hing Group as Group Strategic Director. He is well known for his love of Hong Kong and Cantonese. Professor Timothy Kwok had undergraduate medical education and postgraduate training in Geriatric Medicine in the United Kingdom. He joined the Department of Medicine & Therapeutics in the Chinese University of Hong Kong in 1994, and became professor in 2006. His main research interest has been on the prevention and care of dementia. Since 2004, he has been director of the Jockey Club Centre for Positive, a day and respite centre for people with dementia. He has conducted clinical trials of vitamin supplements, Taichi and cognitive training in the prevention of cognitive decline. He has also developed and evaluated different models of counseling for family caregivers of dementia. His other research interests include osteoporosis, nutrition in old age, and health care services. He is the director of Jockey Club Centre for osteoporosis care and control and deputy director of Jockey Club Institute of Ageing. He is a non-official member of the Executive Council of the Government of the Hong Kong Special Administrative Region. He is also the Chairman of the Elderly Commission and he heads the Elderly Commission Working Group on Ageing in Place and advises the Government on the related policies. He is also the Chairman of the Community Investment & Inclusion Fund Committee. Dr Lam has been honored by the HKSAR Government with the Justice of Peace in 2003, Bronze Bauhinia Star in 2008 and awarded the Ageing Asia Global Ageing Influencers Award in 2018 for his devotion to public services and his influence on policy-making for the global ageing trend. Mr George Tee joined Hong Kong Science and Technology Parks Corporation as Chief Technology Officer on 1 February 2017. He is responsible for shaping the development strategy of technology clusters and application platforms, as well as overseeing the laboratory services and HKSTP’s IT team. Working closely with the executive team, George plays a critical role in strengthening the I&T ecosystem in Hong Kong Science Park. He and his team will be responsible in bringing in reputable companies and technology to the Park. George has over 20 years of experience in business technology and operations with proven leadership in driving transformation and enhancing corporate agility and efficiency. Prior to joining HKSTP, he was previously Operating Executive of Silver Lake Partners, a leading global technology focused private equity firm, advising and steering multiple portfolio companies to pursue strategic goals. George had also held senior executive positions of various companies, including Vice President of management system and operations with Allyes Holding - a leading digital marketing technology company in China; Executive Chief Information Officer of GE Corporate Asia; Chief Operating Officer of GE Capital Greater China and IT Director of GE Money Japan. George also worked for McKinsey& Company in Singapore. George graduated with honors from The University of Hong Kong with a Bachelor of Engineering in Computer Engineering. Albert holds an Engineering Degree from the University of Hong Kong, and an MBA from the Chinese University of Hong Kong. Albert has over 30 years of commercial experience with various multinationals, including Schlumberger, Caterpillar, Emerson Electric and General Electric. Albert was the CEO of ATAL Engineering in HK; and spent 15 years with GE in the US headquarters, Asia-Pacific and China, in which he was responsible for M&A, Business Development, Product Management, and Business Operations. His last positions at GE were China CEO of GE Oil & Gas; Asia CEO of GE Industrial Solutions. Albert is committed to building an ecosystem in HK to drive development in technology, innovation and entrepreneurship. He firmly believes the future of HK rides on the success of this ecosystem. Shihui Yu, MD, PhD, FACMG, the Chief Scientist of KingMed Diagnostics, distinguished Professor and doctoral supervisor of Harbin University School of Medicine. Dr. Yu has been the associate Professor of University of Missouri-Kansas City and University of Washington School, owning more than 30 years of experience in the research of human genetic diseases and tumors. In 1994, because of the achievements in the field of human population genetics and cancer genetics, he was exceptionally promoted as associate professor of Harbin Medical University. During 1994 to 1996, he worked in Hamamatsu Medical university for the postdoctoral research in molecular and biochemical genetics. After that, Dr. Yu has worked at the Medicine School of Minnesota University, Mayo Clinic, Medicine School of Miami University, Kansas children's Hospital, children's Hospital of West Asia and Medicine School of Washington University, engaging in the study of human genetic diseases and clinical diagnosis of tumor markers. In 2004, Dr. Yu established the gene chip clinical diagnostic laboratory which was one of the first 5 laboratories in the world, and was also the first one who applies the whole-genome high resolution chip scanning platform (Agilent 244K) in clinic in 2007. In 2008, he applied transient PCR to verify the clinical results of gene chip for the first time in the world. As one of the first pioneers in the field of gene testing for clinical detection, Dr. Yu has made outstanding contributions to the application of gene chip detection in clinical practice, and furthermore he has also developed a variety of next-generation sequencing testing projects. Dr. Yu identified kinds of human genome diseases for the first time in this world, such as 15q13.3 homozygous deletion, 12p13.3 deletion, 16q24 deletion, which filled the gap in the field of medical genetics, enriched the human gene library, and promoted the widespread application of genomic disease detection in clinic. Dr Sunny Chai is the Board Chairman of Hong Kong Science and Technology Parks Corporation, the Managing Director of Fook Tin Group Holdings Limited, and Group Managing Director of Fook Tin Group Holdings Limited. He graduated with a Bachelor of Science from Rochester Institute of Technology (USA), and was awarded the Young Industrialist Award of Hong Kong in 2004. Dr Chai completed an Executive MBA program (EMBA) at the Chinese University of Hong Kong in 2007. In 2010, Dr Chai was awarded the Doctor of Engineering (EngD) from the City University of Hong Kong. After conducting archeological research in Central America, George became a successful entrepreneur at the age of 27 while attending Stanford Graduate School of Engineering. George founded DEFTA Partners in 1984 through which he invested in IT, semiconductor, and life science startups in the US, UK, and Israel and led them to become global companies. One of his recent efforts is to create a society where every person can live a healthy life until his/her last moment. To realize this vision, George founded DEFTA Healthcare Technologies, LP after serving Inter-governmental Ambassador Extraordinary and Plenipotentiary to the UN and Hon.Co-chair of Republican Business Advisory Board in the US. Now, he is actively engaging in new innovations in technologies and policies as well as building an ecosystem around them. Mr Victor Lam Wai-kiu joined the Hong Kong Government as an Analyst/Programmer in August 1985, immediately after graduation from the University of Hong Kong, majoring in Computer Studies. An information technology (IT) professional, Mr Lam has provided IT services to various government departments, including the Housing Department, the Customs and Excise Department, the former Trade Department and the former Information Technology Services Department. He took up the appointment as Government Chief Information Officer on 6 July 2018 to champion the development of information and communications technology, smart city and e-government in Hong Kong. Mr Shihong Lao is Vice President of SenseTime Group Limited and CEO of SenseTime Japan. He established SenseTime’s Japan branch and fosters the development of new business areas including autonomous driving, robotics, and industrial automation. In 2017, he facilitated the long-term cooperation agreement between SenseTime and Japanese automobile company Honda to advance autonomous driving technology. Mr Lao has made outstanding contributions to industrial applications of face recognition technology. He has published more than 90 papers in international conferences and top journals and holds a number of international patents. In 2009, Mr Lao was awarded the SSII Takagi Award, the most prestigious image processing award in Japan. Previously, Mr Lao oversaw the development of OMRON’s facial recognition technology. During his tenure at OMRON, he led the team to develop the world’s first commercial face detection chip, known as “OKAO Vision”. This technology was adopted by major camera and smartphone manufacturers, and still accounts for the vast majority of digital cameras produced in the past 20 years. Under his guidance, the team developed embedded face recognition technology, which was adopted by leading smartphone manufacturers and helped create the world’s first smartphone with face verification capabilities. Mr Lao also led the creation of the world’s first vending machine which recommends drinks to customers based on customers’ gender and age. He also led the team to develop a whitening beautification based on facial recognition technology, which was adopted by many major printing companies. Mr Lao graduated from Zhejiang University in 1984 and was awarded the opportunity to study at Japan’s Kyoto University in 1985. Mr Takahiko Nakae is Managing Director of Hitachi East Asia Ltd as Hitachi ‘s regional headquarters office in Hong Kong for promoting business development between Hitachi Group Companies among Greater China and our key focus on social innovation business including healthcare equipment, power device, information & financial systems, transportation and electric power related systems. Mr Nakae has served in Hitachi in Japan, USA, Shanghai as well as Hong Kong. He joined Hitachi Sales Corporation after his graduation in 1980. From 1987 to 2007 Mr Nakae worked in the USA for the consumer electronics product business such as Audio,Video and TV products for 14 years in total. He was promoted to a General Manager of Overseas Sales and Marketing, Digital Media Group at Hitachi Ltd. In 2011, Mr Nakae was assigned as Vice President of Hitachi Digital Products China in Shanghai. Later on he was appointed as Managing Director of Hitachi East Asia Ltd in Hong Kong since 2013. Dr Tang is also the Founder and Honorary President of Smart City Consortium. Over the years, she has been actively advocating the use of technology and sharing her views regarding the ICT industry, eHealth, environmental conservation, entrepreneurship and smart city through her services in government and non-government organizations in Hong Kong. Luke is the CEO of BluefireAI, which is democratising AI-machine intelligence across capital markets through the delivery of revenue generating signals that super charge human behaviours or asset understanding. Luke has 20+ years’ experience in the capital markets space, where he has taken responsibility for large regional and global business lines with some of the leading financial firms in the industry. Luke has a deep track record in business transformation and business disruption, he is currently working on AI based programs to address structural pressures in both sell side and buy side businesses. Miles Wen received his Bachelor degree in Computer Engineering with First Class Honors and minor in Finance from HKU in 2011. He then obtained his PhD degree in Electrical & Electronic Engineering under Prof. Victor Li from HKU in 2015. Dr Wen is an alumni of Lee Hysan Hall, former resident tutor at New College, former Founding Vice-President of Eta Kappa Nu (Lambda Iota Chapter) at HKU, and former Fulbright scholar at Department of Electrical Engineering & Computer Science, UC Berkeley. He is an expert in power system, information and communication technologies, optimization algorithms, big data, and machine learning. He is the author of over 10 academic papers and the inventor of one patent. In 2015, he co-founded Fano Labs Limited, a high-tech startup backed by HKU, Hong Kong Science & Technology Park, angel investors, and venture capitalists. He is currently the CEO of Fano Labs. Since early 2016, he has been appointed as an Honorary Assistant Professor (Electrical and Electronic Engineering) at HKU. Dr Duncan Wong is the Founder and CEO of CryptoBLK Limited, a technology company focusing on building and operating Blockchain enterprise solutions for the global financial market. CryptoBLK is specializing in developing trade finance, and asset management platforms. CryptoBLK also has a Blockchain platform called DLTapp-as-a-Service (DaaS) which supports hybrid deployment on both cloud and on-premises. Before founding CryptoBLK, Dr Wong was in charge of the Financial Technologies (FinTech) Initiative of the largest R&D Center in Hong Kong, the Hong Kong Applied Science and Technology Research Institute (ASTRI). The FinTech Initiative focused on Cybersecurity, Blockchain or Distributed Ledger Technology (DLT), Artificial Intelligence, Big Data Analytics, and Machine Learning. Ir Yeung is responsible for the cluster development and market strategy of electronics, information and communications industry development, and the overall development of the Smart City platform. A Fellow of the Hong Kong Institution of Engineers and served as the Chairman of the Electronics Division (2009-2010 Session) of the Institution, Ir Yeung has over 30 years of experience in business management and technology development. * For high-resolution photos, please click the images.